Most mortals turn away from the darkness that preys upon them, going about their lives in despair of the Damned and the evils they visit upon the world. But a precious few wage a personal war to shine light on those shadows and diminish them, like solitary candles shining in the night. 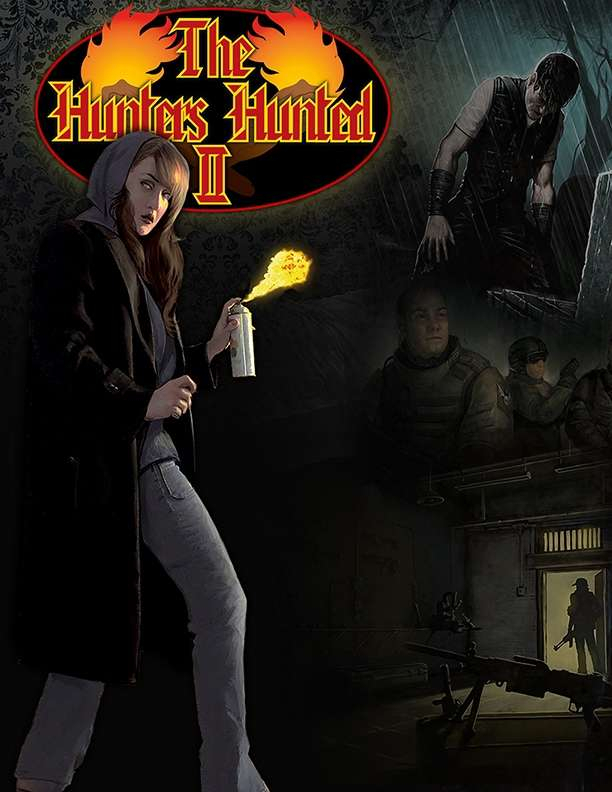 A selection of electronic wallpaper files featuring a collage of the art from The Hunters Hunted II.